IF YOU HAVE ANY QUESTIONS ABOUT OUR SERVICES CALL OUR BODY SHOP AT 866-982-4714 OR TEXT YOUR INQUIRY TO 204-622-3673. CONTACT US TODAY! Welcome to Kelleher Collision Center in Dauphin, Manitoba. If your vehicle has been involved in an accident, we can help! No matter where you live in the Parkland, our collision centre will go out of the way to try to make it convenient to have the repair completed. We can paint and repair all makes and models. Our well-established body shop has the ability to do the best possible repair in the most time-efficient manner possible. We offer a variety of repair services including complete repair and painting, windshield repair or replacement, and direct estimating. Our shop also specializes in spray in bed liners and aluminum repairs. We are an MPI accredited repair shop and also work with other insurance companies. We understand that your car is an important investment and needs to be repaired professionally. 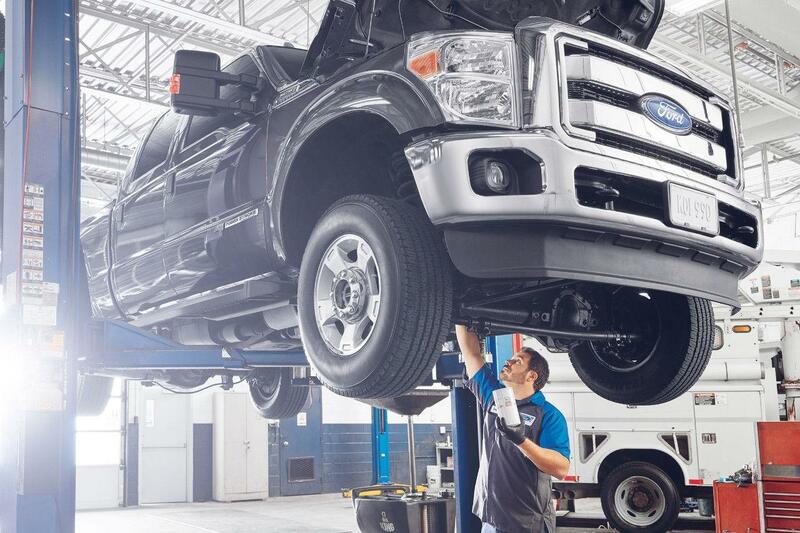 Our Certified Ford Technicians will ensure proper alignment, safety and the structural integrity of your vehicle once the repairs are complete, and make sure your car is returned to you as soon as possible. Remember, when working with your insurance company, make sure to specify genuine Ford and Motorcraft quality parts for your vehicle. Feel free to utilize our Drive In Appraisal service. If you have any questions about our services, we welcome your inquiries via email or call our Body Shop at 866-982-4714. Contact us today! Checkbox Check here to receive communications, including emails, from Kelleher Ford Sales Dauphin, Ford Motor Company of Canada, Limited and The Lincoln Motor Company** about them and their products, services, events, news, offers, customized ads and more. You may withdraw consent at any time.